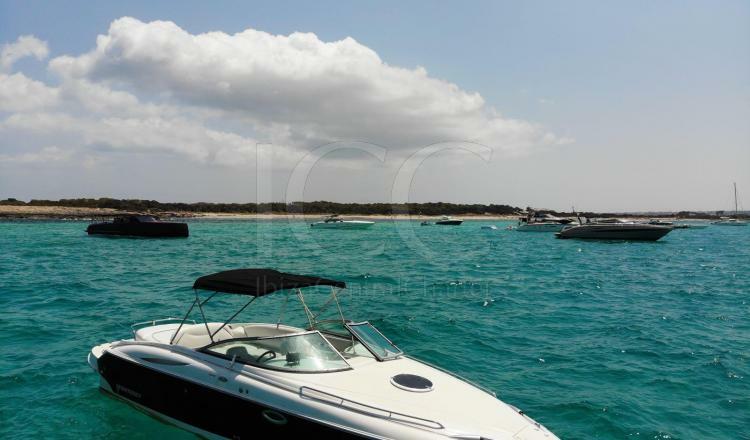 Monterey 268 SC is a perfect motorboat if you want to spend a holidays day sailing across Ibiza and Formentera islands. 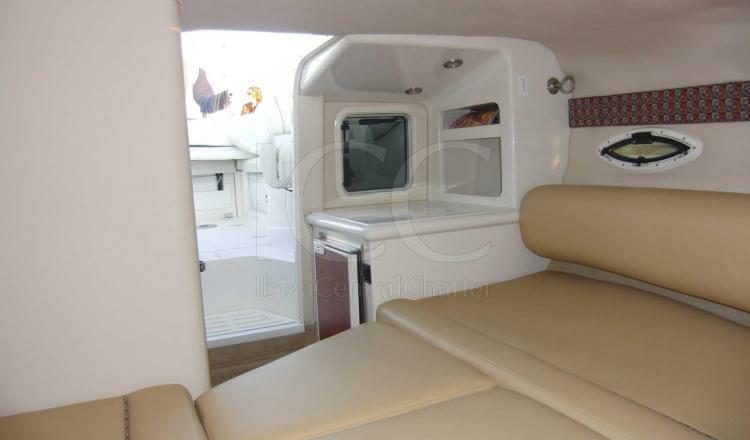 This motorboat of almost 9 meters in length lodges space for up to 8 passengers, who will enjoy a magnificent stern solarium and bimini. 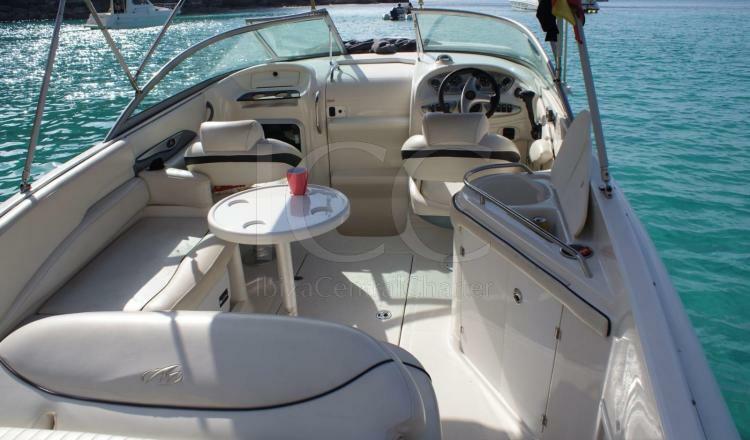 We wish that you enjoy your day to the fullest, so that the Monterey 268 SC comes equipped with a WC and a cabin, it also has an electric fridge and ice cooler to keep drinks cold throughout the day and for an assured fun it has a swimming platform from which jump to the sea is a priceless pleasure. 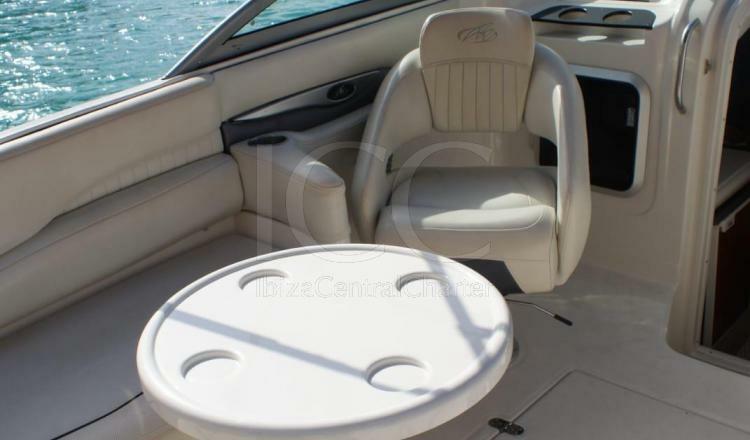 And if all this was not necessary, include a CD sound system with connection for iPhone and iPod so music sure is going to be nice. 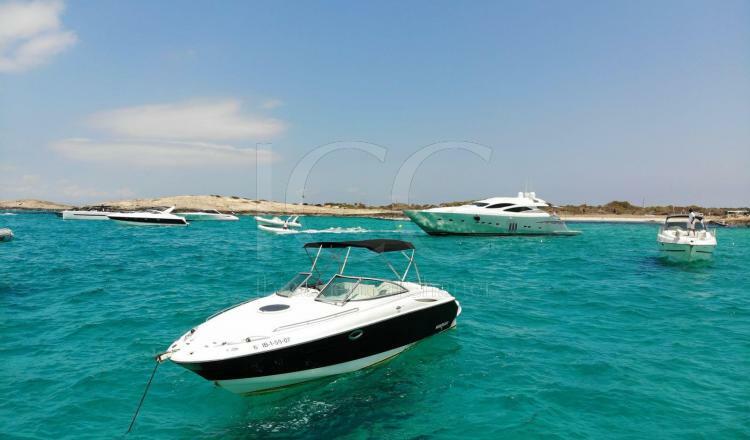 Moored in Marina Ibiza port the Monterey 268 SC is the ideal motorboat to enjoy a day of sun and beach in good company. 50% when booking by bank transfer, 50% at boarding.